It is not uncommon for us to diagnose brain tumours either in the TIA clinic or the Emergency department. The usual presentation is usually of progressive symptoms and development of weakness which is not completely de novo. 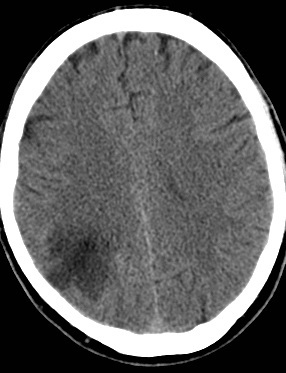 If there is a history and imaging corresponding to that suggesting a tumour thrombolysis must be avoided. 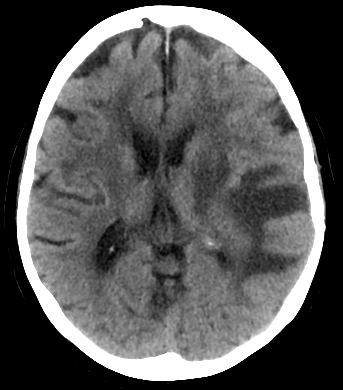 Occasionally tumours present with haemorrhage and then it can be difficult to differentiate from a haemorrhagic stroke but in most cases acute or delayed imaging will help with the diagnosis. 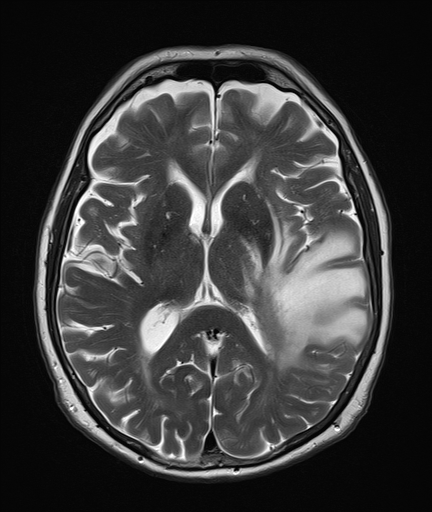 Meningiomas are tumours that arise outside the brain "extra-axial" but can cause localised pressure with oedema affects the underlying. There are two main types of tumour. Those that arise from the brain itself called primary tumours. The most common are usually from glial cells and known as gliomas. Secondary tumours are those that spread to the brain from elsewhere. For a single lesion it can be primary or secondary. If there are multiple lesions they are usually from elsewhere. Primary brain tumours can be defined as benign or malignant growths arising from intracranial tissue. Relatively uncommon and forms 2% of adult tumours. Women have a higher incidence of meningioma than males. Tumours need to be classified pathologically, and staged to determine treatment and prognosis. Most common malignant primary brain tumour is glioblastoma multiforme (GBM) which has a poor prognosis. 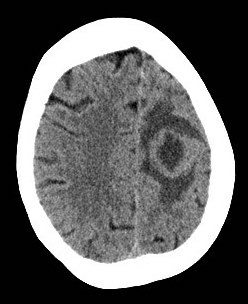 Astrocytomas are the most common type of glioma and are graded according to the WHO scale of grades one to four. 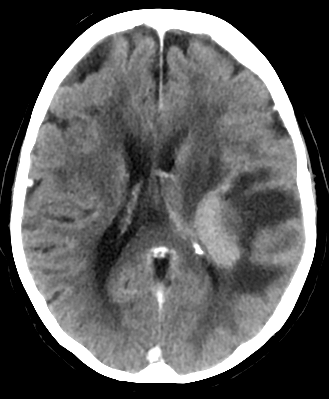 Grade 1: astrocytomas include pilocytic astrocytomas which are benign. Grade 2: astrocytomas are low grade infiltrating tumours. Grade 3: anaplastic astrocytomas exhibit mitoses. GBM has a median survival of 14 months following diagnosis even if given optimal therapy. 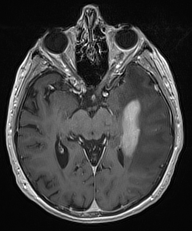 GBM can arise as a first presentation or a secondary presentation to a lower grade astrocytoma. The gliomas most commonly encountered in adults are neoplasms of astrocytic or oligodenrocytic lineage. Mixed tumours also occur, the most common of which is termed anaplastic oligoastrocytoma. Glioblastomas form around 50% of these tumours. Others include oligodendrogliomas, other astrocytomas and ependymomas. Meningiomas arise from the meninges and often compress the brain thereby creating a mass effect. Incidence is 2 per 100,000. They are benign and are therefore potentially curable through resection. Loss of chromosome 22 is a characteristic genetic feature of these tumours. They are vascular and enhance with gadolinium. FBC, U&E, LFTs, ESR, CRP. HIV test may be indicated. 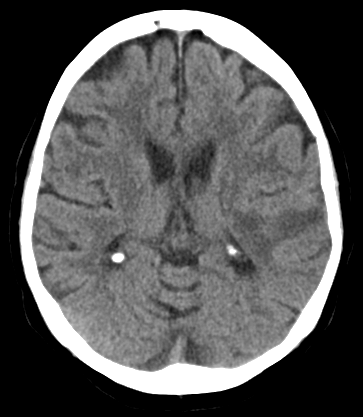 CT with contrast: There is breakdown of the blood brain barrier such that tumours enhance with contrast. This often shows up with a surrounding area of oedema. 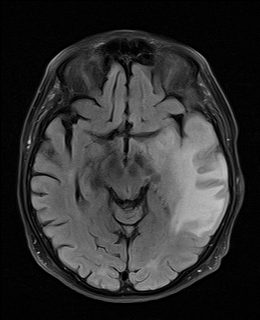 MRI with gadolinium: There is breakdown of the blood brain barrier such that tumours enhance with gadolinium. This often shows up with a surrounding area of oedema. Look for primary : Usually a CT Chest Abdomen and pelvis. Physical exam and Mammography for breast cancer and skin examination for melanoma. Brain biopsy: When a tumour is identified by imaging it can then be biopsied to obtain a definite tissue diagnosis, so as to better inform the MDT as to how best to proceed with treatment. 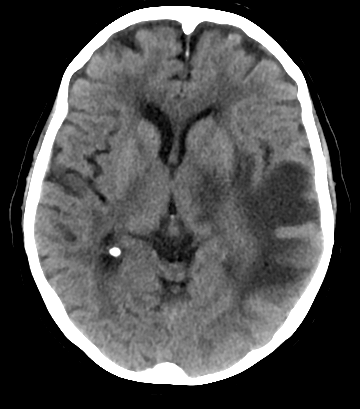 Day 1: admitted suspected stroke but some atypical features. Surgery involving the brain is always high risk and any situation can be made worse through surgical and perioperative complications. A full discussion with the neruosurgeon and anaesthetists is needed before any intervention is planned with a good discussion of risks and benefits. Neurosurgical Debulking can improve the prognosis for malignant tumours provided the tumour is not infiltrating essential "eloquent" areas of the brain such as language areas. If this is not possible then simple biopsy is the second option and modern stereotactic approaches mean that this is now more possible. Excision of at least 98% of a GBM improves life expectancy by a median of 4 months compared with patients who have 2% or more of residual tumour remaining post operatively. External beam radiotherapy is useful and may be used in addition to surgery or instead of surgery. 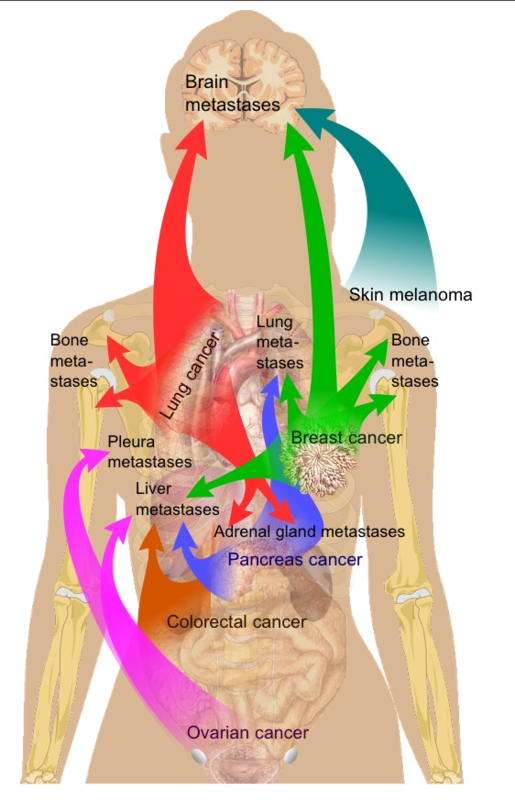 Some tumours are radiosensitive and it can be curative or prolong survival. Whole brain radiotherapy is used in certain tumours like medulloblastoma and primary CNS lymphomas. “Involved field” radiotherapy is used in other tumours such as gliomas. Stereotactic radiosurgery is another method of radiotherapy, which delivers a large dose of radiation to the tumour based on imaging of the lesion. This is useful for meningiomas. Referral to local neuro-oncology services. Oncology can discuss with Neurosurgeons whether to biopsy, remove or resect lesion. Much of this focuses on performance status, co-morbidities and physiological age and whether an eloquent area of the brain is involved and the scope for resection and patient choice. Start anticonvulsants e.g. 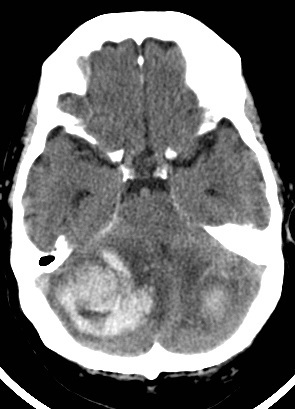 Keppra 250-500 mg BD with one seizure as high risk of recurrence with a focal lesion. For many palliation is the correct course when there is a poor outcome.